I know a lot of women haven’t outgrown the joy of creating a special package for someone on a special day. My best friend and I used to compete to wrap the most presents for each other’s birthdays. One year we wrapped not just packages of candy, but every piece of candy! Christmas is full of people to wrap for and I love sitting down to a big, clean table, a pile of odd-shaped gifts, and a stash of gift wrap. 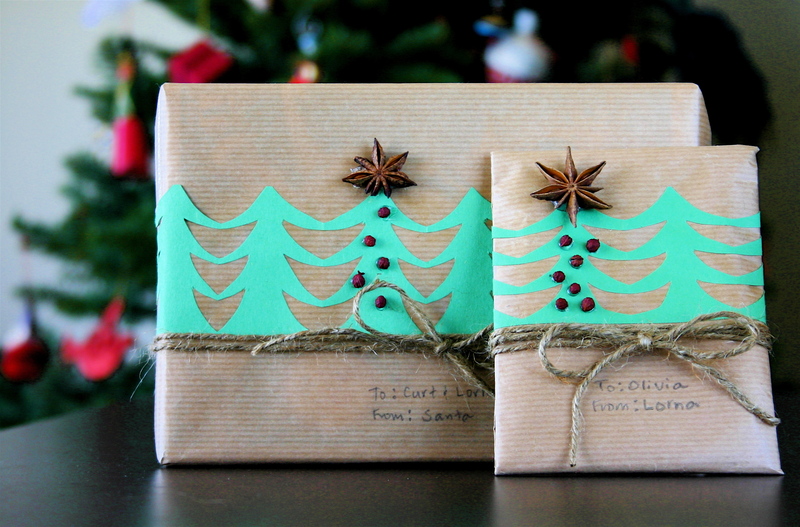 The last few years I’ve used brown paper and natural jute twine to as a canvas for other embellishments. 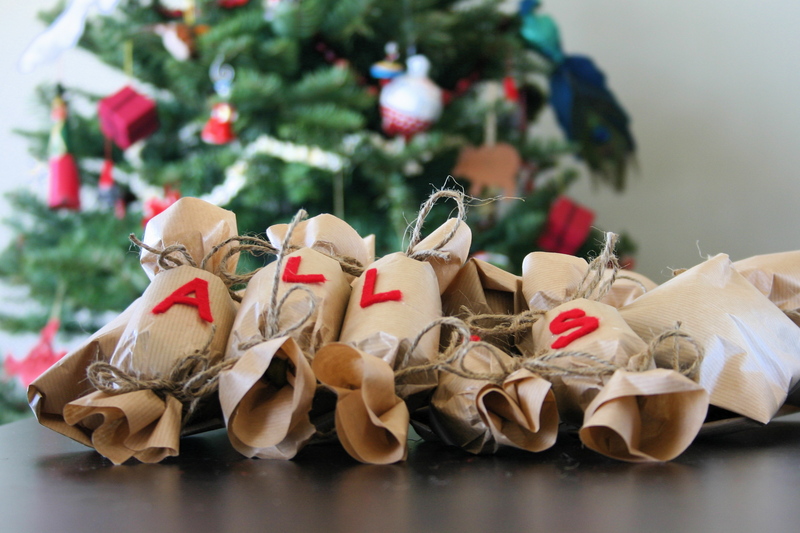 This year my cranberry and popcorn garlands as well as our tradition of decorating oranges with cloves inspired me to use pretty spices and cutouts to create a natural woodland gift wrap. Pictured are cedar boughs, star anise, Szechuan peppercorns, construction paper and jute twine. I think they turned out so pretty! 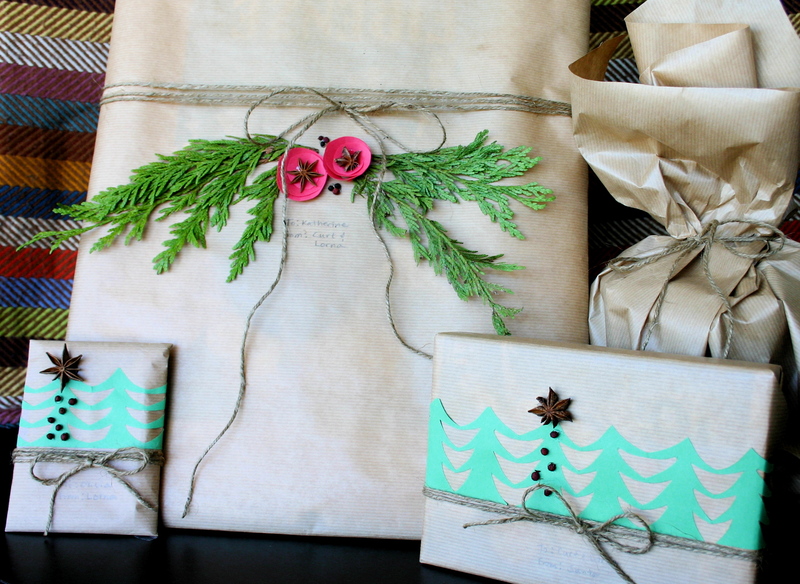 What are your favorite wrapping materials?